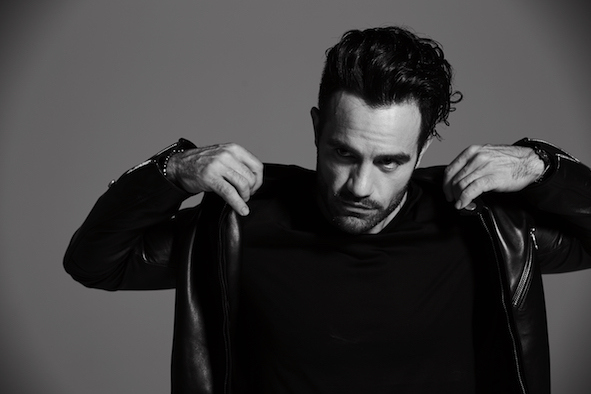 RAMIN KARIMLOO, one of the West-End’s and Broadway’s most recognizable and acclaimed names, has announced his ‘From Now On’ tour, a 13-date run visiting cities across the UK in January 2019. Named after his version of the powerful song from the Oscar-nominated film The Greatest Showman, the concerts will see Ramin perform well-know numbers from Les Miserables, Phantom of the Opera and more of your favourite musical and contemporary hits. Putting a fresh twist onto the tracks, Ramin will be accompanied by his ‘Broadgrass’ band, a clever mix between ‘Broadway’ and the bluegrass genre. The Iranian-born Canadian singer and performer is known as one of the most formidable talents in musical theatre. Critically acclaimed for his portrayal of leading roles – Jean Valjean in Les Miserables on Broadway (2014 Tony Award nominee) and London’s West End as well as the Phantom in Phantom of the Opera in London, Ramin is a musical force unlike any other. He immortalized the role in the 25th Anniversary Concert of Phantom of The Opera at The Royal Albert Hall and also originated the leading role in Love Never Dies, the sequel to Phantom of the Opera, for which he received an Olivier Award nomination. In addition, he played the role of Enjolras in the 25th Anniversary of Les Miserables at the O2 Arena in London. Most recently, Ramin starred as Gleb in Anastasia on Broadway and Anatoly in Chess at the Kennedy Center in Washington, DC. Ramin released a major label debut album, Human Heart (2012), and three EPs, Within the Six Square Inch (2007), The Road to Find Out: East (2014) and The Road to Find Out: South (2016). He will be releasing more tracks over the coming weeks to his VEVO channel, with ‘From Now On’ being the first. You can watch the video to ‘From Now On’ HERE. Tickets are available now via the venues directly and from seetickets, with the option of a VIP upgrade.